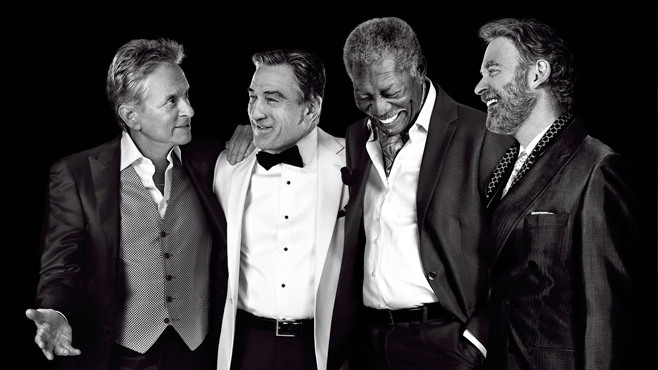 Billy (Douglas), Paddy (De Niro), Archie (Freeman) and Sam (Kline) have been best friends for 60 years. Paddy is still mourning the death of his wife Sophia, pining away for her in their Brooklyn apartment. Archie has recently suffered a stroke so is on (well-meaning) house arrest by his son and daughter in law. Sam is feeling the 40 year itch after being married…..well 40 years to the lovely Miriam (Gleason). So when Billy, the last remaining single man among them, calls and tells his buddys he is finally getting married ….. and yes of course it’s to a woman more than half his age….. an impromptu bachelor party is organised for the following weekend. Billy is getting married in Vegas so where else would they hold it but Vegas. According to most reports, this is the movie Hollywood didn’t want to fund. Too gay they said. A movie about Liberace too gay? Noooooooo really? He was a superstar for over 40 years with single name recognition and was adored and beloved because of his over-the-top persona and camp stage show. If his legion of fans didn’t ask, he didn’t tell. He sued anyone who suggested he was gay. And won. But we, in the so-called enlightened 2000’s, cannot find funds to make a movie about this magnificent and extremely talented man. Because it would be too gay……..
Lucky we have HBO and Steven Soderbergh. 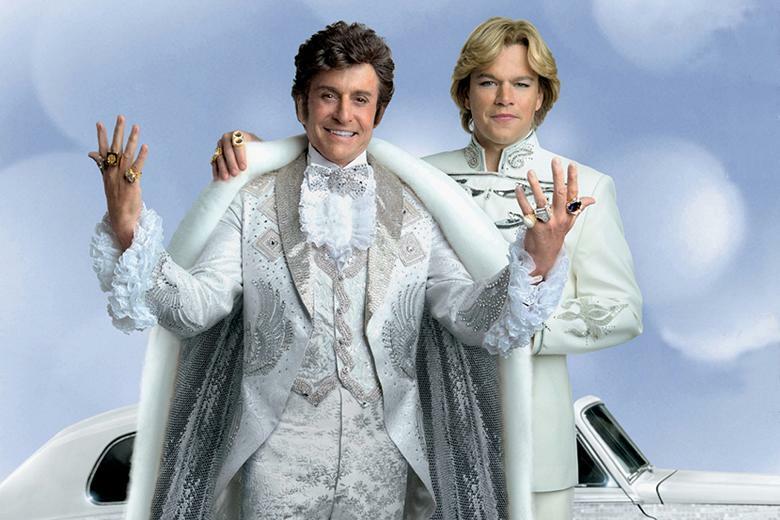 Based on the biography of Scott Thorson (Damon), this movie is set in the last 10 years of Liberace’s (Douglas) life. It recounts his last great love affair with Scott, his flamboyant lifestyle, his vast wealth and ultimately, his death from an AIDS-related illness. The then 50 something meets the 18 year old Scott through a mutual friend. It is not long before the younger man moves in with Liberace, ostensibly as his chauffeur.